“I’ve now owned a SMART™ Dressage saddle for six months and so far, so good. I’ve ridden in the saddle almost every day and my horse hasn’t rejected it. This is unusual. Generally he likes me to spend at least £2000 on a new saddle, usually the best and latest technology, only for him to decide he doesn’t actually like it a couple of weeks later. Solution Saddles rental service allowed me to have a SMART™ saddle on trial with all the accessories for as long as I needed. With my serial saddle purchasing history, this option was reassuring to say the least and is an indication that this is a company with real confidence in its own products. 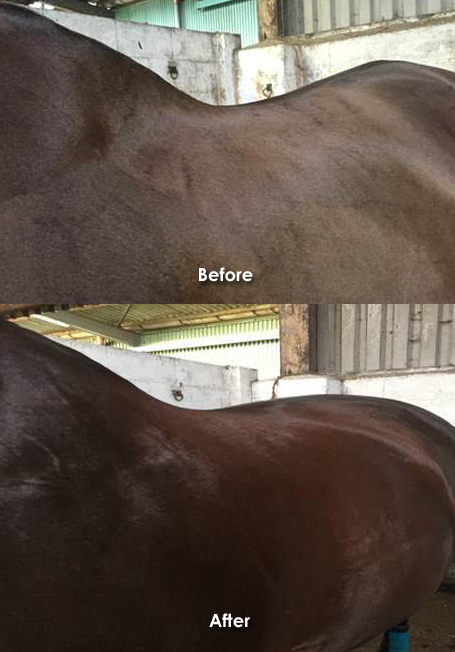 Although I originally chose to try SMART™ saddle to prevent yet another costly saddle mistake, what I really hadn’t expected was that my horse could change so much – bearing in mind that I’ve had him for nearly 10 years. He is a big moving horse, but yet, has never had a medium trot to speak of. Although his sideways movements are good to the left, he always struggled to the right. I thought this was 95% down to me, 5% down to him. I didn’t really think it could be the saddle until I tried a SMART™. Since changing to a SMART™ saddle he has miraculously developed an extended trot and is able to comfortably half pass in both directions. He doesn’t change legs in canter any more (unless I want him to) which was one of his favourite evasions, and he’s stopped trying to put his head up in downward transitions. I’d like to say it is because my riding has improved by 95% over the past 6 months but I think this is highly unlikely. 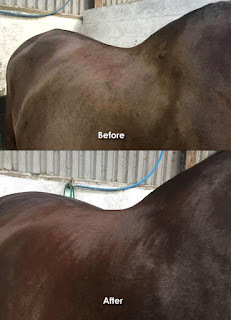 He’s now completely different to look at; his back is clearly stronger, the dips behind his withers are filling in, and each time he changes shape, an Approved Advisor has been available to assist us if needed. At a recent fitting we were able to take out most of the pads and shims which further adjusted the balance of the saddle, making it even better from my point of view – my horse was already very comfortable. From the initial saddle fitting to the last, nothing has been too much trouble; the customer service has really been second to none. I would recommend anyone who is looking for a new saddle should to try a SMART™. With the excellent trial packages on offer you’ve really got nothing to lose and potentially a great deal to gain. Meanwhile, I’ve booked in for a dressage test – which will be the first time I’ve been out in public for four years.